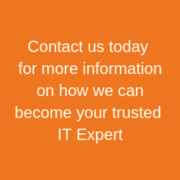 Is Your IT Professional Also a Trusted Business Advisor? They Should Be! https://computertroubleshooters.co.uk/wp-content/uploads/2018/11/computer-troubleshooters-3.png 0 0 briancraigie https://computertroubleshooters.co.uk/wp-content/uploads/2018/11/computer-troubleshooters-3.png briancraigie2014-03-17 13:40:232014-06-11 03:33:58Is Your IT Professional Also a Trusted Business Advisor? They Should Be! Why you need to upgrade from XP! https://computertroubleshooters.co.uk/wp-content/uploads/2018/11/computer-troubleshooters-3.png 0 0 briancraigie https://computertroubleshooters.co.uk/wp-content/uploads/2018/11/computer-troubleshooters-3.png briancraigie2014-02-16 13:13:572014-06-11 03:33:58Why you need to upgrade from XP! Are your business technology solutions aligned with the larger goals of your business? Facing Your Technology Issues as a Small Business Owner Head on! https://computertroubleshooters.co.uk/wp-content/uploads/2018/11/computer-troubleshooters-3.png 0 0 briancraigie https://computertroubleshooters.co.uk/wp-content/uploads/2018/11/computer-troubleshooters-3.png briancraigie2014-01-12 08:29:092014-06-11 03:33:59Facing Your Technology Issues as a Small Business Owner Head on! Business IT Support: Are You Ready to Make a Plan for 2014? https://computertroubleshooters.co.uk/wp-content/uploads/2018/11/computer-troubleshooters-3.png 0 0 briancraigie https://computertroubleshooters.co.uk/wp-content/uploads/2018/11/computer-troubleshooters-3.png briancraigie2013-12-27 15:58:582014-06-11 03:33:59Business IT Support: Are You Ready to Make a Plan for 2014?